Your personal personal injury attorneys. (312) 782-7482 Se habla Espanol! A dog bite can change your life. Insurmountable debt should not be one of those changes. At Dwyer & Coogan, P.C., we represent dog bite victims as they pursue monetary compensation for their dog bite-related damages. Contact us today to set up an initial consultation, where you can discuss your rights and options with our Chicago dog bite attorney. Who is Liable for Dog Bite Damages? “Strict liability” means that there is a different burden for the injured person, and the law makes it easier to claim against a dog owner for an attack. 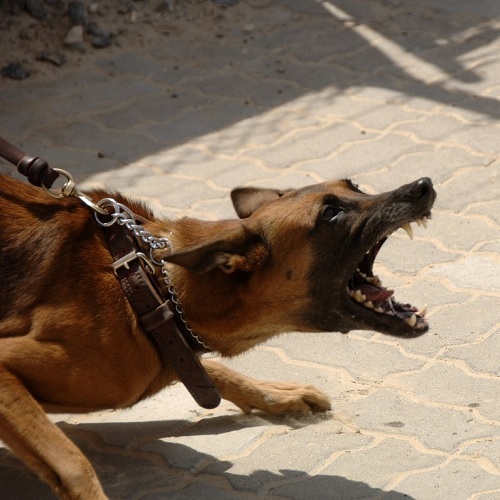 It does not matter if the dog has never bitten a victim before or if the dog’s owner had no reason to believe the dog was likely to attack or bite someone. When a dog causes a victim to suffer an injury and financial damages as a result, the dog’s owner is liable for the victim’s damages (with limited exceptions). A bite can cause lacerations, puncture wounds, and worse. Deep penetration can cause infection, nerve and muscle damage, or even bone fractures. Even after medical treatment for acute injuries, a bite can result in permanent scarring or other disfigurement. A bite can also leave psychological scars on a victim, leading them to become depressed or to develop anxiety. It is important to seek medical treatment for your injuries and to keep track of all of your records. Then speak with an experienced dog bit attorney to learn about your legal options. Dog bites can have long-term, even permanent, effects. If you are bitten by a dog, you have the right to pursue monetary compensation for your damages through a personal injury claim. At Dwyer & Coogan, P.C., we are committed to helping victims like you pursue compensation for your personal injury damages. To get started, contact our office today to set up a free consultation with one of our dog bite attorneys in Chicago.